Rajasthan IT Day – One of It’s Kind! Government of Rajasthan (GoR) had Organized Rajasthan IT Day 2017 on the theme, “Skills for employability” on 20-21 March 2017 at Birla Auditorium in Jaipur. It was a two-day event, an one of its kind innovation fest that united the opinions of entrepreneurs & innovators. It provided a platform to various individuals from the field of IT to showcase their skills and innovations. The event was honored by the presence of dignitaries like Hon CM Vasundhara Raje, Principal Secretary IT – Shri Akhil Arora,Mohandas Pai – Chairman,Manipal Global and Sharad Sharma – co-founder and Governing Council member of iSPIRT. 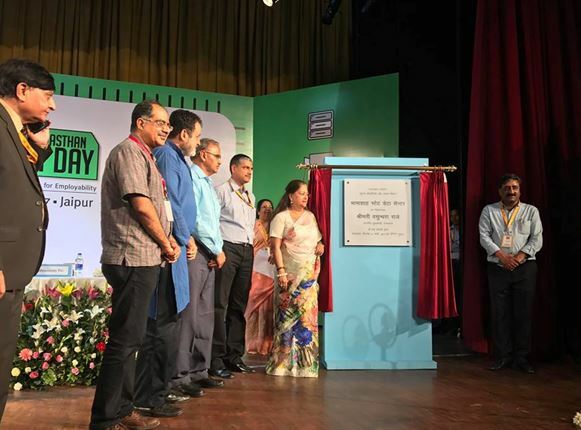 CM Vasundhara Raje inaugurated IT Telephony Hotline, and laid foundation for Bhamashah State Data Centre (First of its kind in South East Asia) on the IT day. There were many events planned like Coding Competitions, Relay Coding, Workshops, interactive sessions where various entrepreneurs could collaborate and discuss on various problems and solutions. 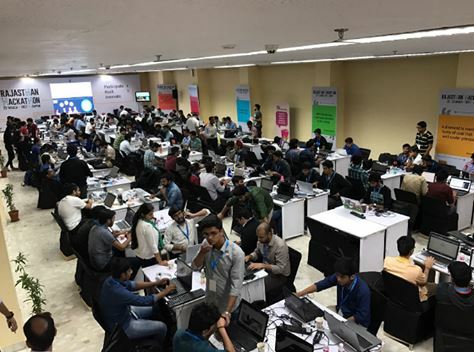 GoR had organized a two-day non-stop coding competition where 550+ participants from all the corners of India competed for Prizes worth Rs 35 Lakhs. Participants competed to develop solutions on platforms like “E-mitra”, “Bhamashah” and “Blockchain“. Winners were awarded prizes by Hon CM SMt Vasundhara Raje. 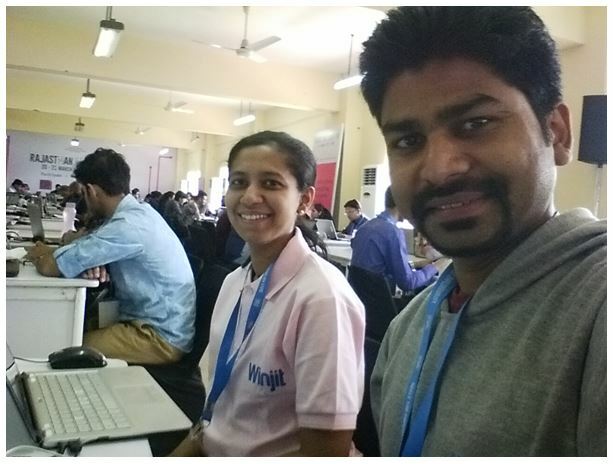 Winjit Participated in Hackathon organized and demonstrated a solution to check purity of water and air pollution using combination of IOT and Block chain. This was the first time that we had participated in a Hackathon, that was organized by any government. It was through the hackerearth that we came to know about the event and thought to jump into the pool of all techies building path breaking solutions. Excitement increased even more when we were shortlisted from 1200 teams to participate in final round of Hackathon. So, with all different perceptions in our mind for the event we reached the venue on 20th march. It was a very well organized event where utmost care was taken to make every single participant feel comfortable. Managing crowd is not at all easy task in events like this where you should keep things in line with schedule and at the same time make sure that you are polite and not rude to anyone. People were working in 4 shifts to make sure all things are inline and that no stone is left unturned to make this event successful one. Special Quiz competitions were conducted randomly at nights to keep participants engaged and the winners of those quizzes were rewarded with goodies to keep them excited. It’s not that we had not seen such type of arrangements in events earlier but the one’s we saw were by private organizations like Google and Microsoft. We could sense the effort that must have been put in towards planning of this event.